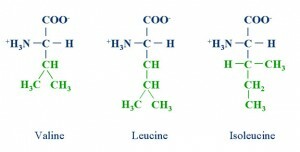 Branched Chain Amino acids (BCAA’s) are a popular supplement in the bodybuilding industry, specifically they’re marketed for building muscle, preserving lean muscle during dieting, and even increasing fat loss while dieting. But do any of these claims hold up to scientific scrutiny? BCAA’s – Should you take these suckers or not? When you take a closer look at the research you’ll find out that the experiments on branch chain amino acids are done with a very specific timing and protocol with specific end point measurements. Fitness marketers then tell you to recreate the experimental settings in your daily routine in an effort to mimic the results of the study. But what are the results anyway? Most people just want to build muscle and drop bodyfat and look good…and I can tell you that neither muscle building nor fat loss are ever measured in these studies. In almost all cases the research looks at surrogate end points such as protein synthetic rate which is then extrapolated to mean ‘muscle building’. In today’s uncensored podcast, we’ll discuss the research on BCAA’s what the methods and results mean and if you should even take them.We look at the effect popular fitness media has on our choices in supplements and how the success of one supplement can mold our opinion of other supplements. Things to consider are your personal fitness goals, your current state of health (are you lean, overweight, obese, diabetic etc), the amount of time you have to spend working out and the amount of money you have to spend on supplements. The intersection of your training experience, your goals, what you expect from BCAA’s and your budget will determine if you should take them or not.